Finding great games for two players can be a challenge but not anymore! I’m sharing our favorite 2 player board games, 2 player cooperative games and 2 player card games! Make your next at home date more fun with a game night date with one of our favorite couple games! These Great Games for Couples will Make Your Next At Home Date Night Fun! Bryan and I love playing board games with friends. In fact, our main core group of friends bonded over hours of board games – both competitive and cooperative. We felt stuck though when it came to board games for date nights even though it was one of our favorite at home date night ideas. Not anymore! We have slowly grown our collection of couple board games and couple card games (plus a few 2 player games that don’t quite fit either of those categories) – many of which we can play with our friends, too, while offering us a fun 2 player game experience as well. If you are looking for 2 player video games, you will want to head to my specific post on couple video games! If you are looking for more date night ideas, you definitely will want to check out this Year of Dates Binder! I am working on updating this list as we find more games we love, while also dividing the list into categories of both cooperative board games (meaning you are working together toward a common goal) and competitive board games. Whichever category the game falls into, it most likely won’t be too aggressive. We strongly believe date night games should be fun and relaxing without too many hurt feelings. With this in mind, you definitely will not find Monopoly on our list of games – ever! Monopoly was one of the first board games we played as a couple after years of friendship. It was New Year’s Eve and two months into our relationship and thankfully not the last night of our relationship. 😉 It did not go well, and we have never played again. haha Do you have a game you refuse to play as a couple or family? We have come to love deck playing games because they usually have an easy learning curve, are easy to set up and usually only last 30 minutes. Most people think MAGIC if they hear deck building, but these are no where near that intense. They’re nice games for couples because you could play a round after dinner and still have time to watch a show, get some chores done or go to bed early! Dominion is a deck building game that contains money cards, victory point cards, and action cards that allows you to do special things like extra actions or extra cards. Every basic turn uses 5 cards from your deck which you play and then put in your discard pile. When your deck is empty, shuffle your discard pile and start through your deck again. The player with the most victory points wins. We’ve had this game for a few years now and it’s still a favorite of ours. In fact, we just played it a few hours before I sat down to update this post. We can have the game set up in 5 minutes and every round is a little different because you only use so many action cards in every round, which all combine and interact in different ways. There are also expansions that can interact with the main deck, giving you even more options. We own Dominion Intrigue, too, and have our eyes on Prosperity and Dark Ages. There are some attack cards amongst the action cards, but you don’t have to use them. Without them in play, the game is completely peaceful. Besides the fact that a winner is designated by points at the end, we don’t actually interact with one another’s decks and can’t get in the other’s way. I don’t think we could call ourselves nerds and not include this game on our list. If you love DC comics, this is the perfect superhero board games to play as a couple. Each of you will play a superhero with it’s own special ability trying to defeat a pile of super villains such as Joker, Captain Cold, Atrocitus and more! The main deck is filled with super powers, heroes, villains, and equipment (like Wonder Woman’s lasso) that you can purchase to build your deck and use to defeat that super villain. DC Deck Building has more attack cards then the base Dominion game, but it doesn’t feel very aggressive. In fact, it’s one of our favorite games to play together, easily making the top five. It also have a lot of expansion options to choose from, such as Heroes Unite, Multiverse Box (next on our list!) and Forever Evil (where you play as villains). You can’t have a DC version and not have a Marvel one, too! We don’t own this game yet because we started investing in DC first, but it’s always on our couple board game list to purchase in the future, especially since we have friends who own and love it! There are even more options to choose from than DC when it comes to expansions. If you have a favorite Marvel hero, there is a good chance there is a special expansion you can purchase to play: X-Men, Fantastic Four, Spiderman, Captain America and more! HONORABLE MENTIONS: Legendary actually makes deck building games in a few different fandoms so you can get a deck building game for a nerdy interest, such as Alien, Predator, Firefly, and Buffy the Vampire Slayer. I also just stumbled on a Harry Potter Deck Building Game that’s also cooperative that I want to investigate! The premise of Super Motherload is you have each been chosen to lead an elite crew of Pod pilots on Mars and are drilling to find jewels, increase your crew, and more! In some ways, this could have also gone under deck building games because you are building a crew deck but the inclusion of boards and tiles makes it unique. It’s quick to set up and doesn’t take too long to finish the game. Small World takes place is a fantasy world with a mystical cast of characters like dwarves, wizards, amazons, giants and more! You are fighting to conquer as much of the world as possible, expanding your empire. When you feel like your army has gone as far as it can go, you can take it into decline and start with a new army which helps keep it fresh and moving forward. With 14 races and 20 special powers, there is plenty to keep the game unique with each new combination and play through. In Carcassonne, you’ll build the area surrounding this impressive city, one tile at a time, where you will place followers to score points. These followers become knights, monks, farmers and thieves who’s functions can help you win the game. It’s interesting as a two player game because while you have more tiles to use with less people, you will still have the same number of people to place and therefore have to be more strategic. We primarily play Ticket To Ride with a group and it’s one of the few board games we can get the whole family to play. We LOVE it! One night we noticed the rules also included a 2 player game version as well. The 2 player rules change all of the routes with a 2-way track to a 1-way track, which makes it more challenging and therefore more enjoyable for us to play together. Bryan and I also have a house rule of taking more route tickets to increase the challenge, too. If you don’t own this game yet, you should! It’s great for all ages! The Settlers of Catan is hands down my favorite game. Catan is a resource game where each player assumes the role of a settler and attempts to acquire resources (determined by numbers on the board’s tiles and dice rolls) and build settlements/towns. Players are awarded points as they develop more settlements and turn them into cities. The first to reach a set number of points is the winner. We have definitely played this as a 2-player game though I will say it’s not as challenging as when you have more players. We also have the the tablet version of this board game and LOVE IT! It’s exactly the same but allows you to add in one or two computer characters into the mix to make the board more challenging. Our favorite expansion? Catan: Cities and Knights Game Expansion . This is Rummy the card game meets domino-esque tiles. It’s casual and easy to play with mostly individual play trying to earn as many points as possible. Rummikub been a popular game for a long time with more than 50 million units sold. The version at my parents house is a few decades old. It’s also great to play with kids and reinforces STEM skills. HONORABLE MENTIONS: There are so many games on our list that we want to try but haven’t been able to yet, so I’m going to list them here in case you want to check them out, too. These are games that have been shared to us by friends, earned Board Game of the Year awards, or have appeared on recommended purchase lists from other games we’ve bought. Star Wars Armada – Bryan wants this game so much! Cooperative Board Games or Collaborative Board Games are games that you play together as a team. You each have a unique character that you are playing and take individual actions, but you win and lose as a team. 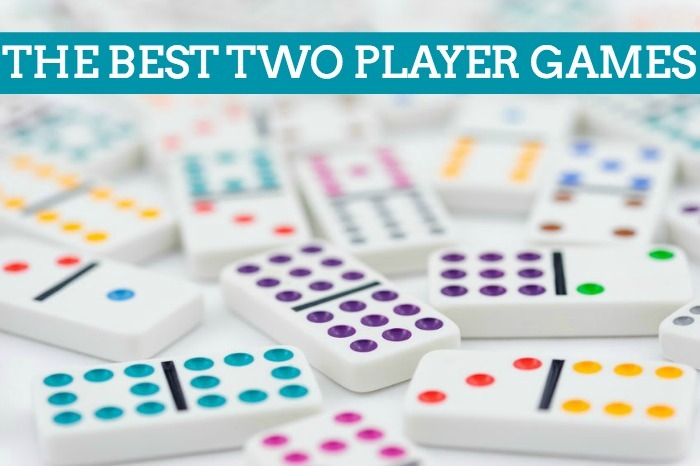 These are my favorite couple board games to play, especially for date night, because it’s all about working together and communication. While we can play Dominion without talking to each other much, we have to talk during cooperative games if we want to succeed. We received Pandemic as a Christmas gift a few years ago, and it’s definitely my favorite cooperative board game for a couple and for a small group of friends. It’s a challenge, which we love! It’s not one that we always win by a long shot. The idea of the game is that the world is experiencing life threatening epidemics. You must find the cure for these 4 diseases before there are too many outbreaks or before you run out of cards in the deck. Game play is more complicated in this game than others so it does have a stronger learning curve. I find that once you play through once though, it is far easier to understand the pitfalls and the possible game advantages. Our favorite development for this game is Pandemic Legacy. A legacy board game can only be played so many times before it’s run its course because each subsequent game builds on the last with permanent changes being made to the board. My husband first played Risk Legacy with a group before this one came out. We’ve played one board as a couple and one with friends- it was amazing both ways! They even released a Pandemic Legacy 2. Before you play Forbidden Island , you have to read the story behind it that’s included and you have to read it ALOUD in a DRAMATIC voice. I promise you, it is worth it. For this game, players take turns moving their pawns around the ‘island’ or game board, which is built by arranging printed tiles with island location before play begins. As the game progresses, island tiles begin to sink with your goal being to save or “de-flood” important tiles so you can collect the treasures and escape the island before the whole island sinks. As the water level rises, it gets increasingly harder. This game is at a really reasonable price point, making it a great gift item. There is also a similar game from the same company called Forbidden Dessert. If you like scary movies, Arkham Horror is the perfect couple board game for you! Arkham, Massachusetts is in a panic. because horrific and strange events have begun to occur with increasing frequency. A small group of investigators might be able to save Arkham though! A brand new updated version is about to be released and there are TONS of expansions that can switch up the theme and game play. If you like Walking Dead and other zombie thrillers, then Dead of Winter is the game for you! You must find a way to work together to fight off zombies, find food, keep morale up, and survive outside elements. While cooperative, this game has a little twist, too, in that each individual character must also succeed in a secret personal objective to also be victorious. So you could have all players win, some players win or no players win (even if the common objective was achieved). My favorite part of this game is that it feels like a very story-centric game and therefore more of an experience. Arkham Horror is similar in this way. HONORABLE MENTIONS: Robinson Crusoe has been brought to our attention and has one game of the year awards, but we haven’t tried it ourselves yet.